What can I say, we are replacing the Boom Trike with the very latest version. Same colour of cause, an option of a racing brake system sounded appealing. Don't know why I need those. Billy Connolly would be totally impressed because I am. Love to try the Route 66 trip one day like Billy. 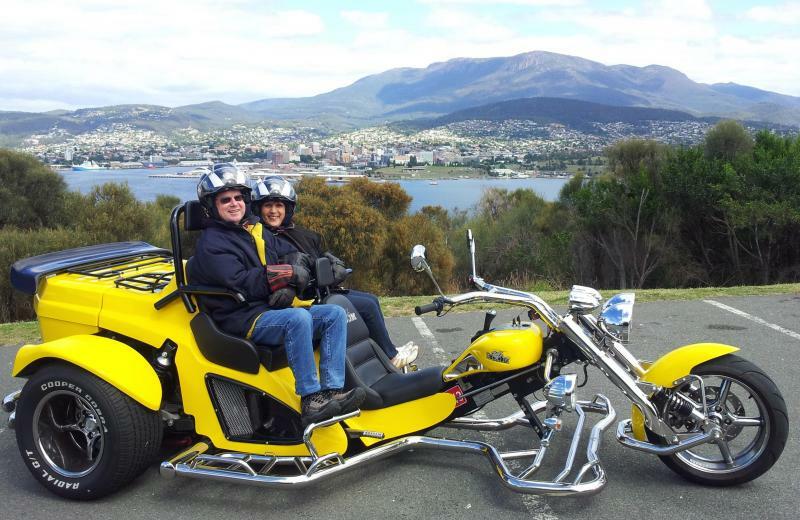 I look forward to helping and assisting you to choose a tour to suit your needs and the time you have available whilst enjoying our wonderful Capital City of Hobart in Tasmania. It is essential to contact me to book your tour if arriving on one of our many cruise ships that stop over in Hobart. These days are very busy and with over 120,000 passengers it is difficult to accommodate everybody. 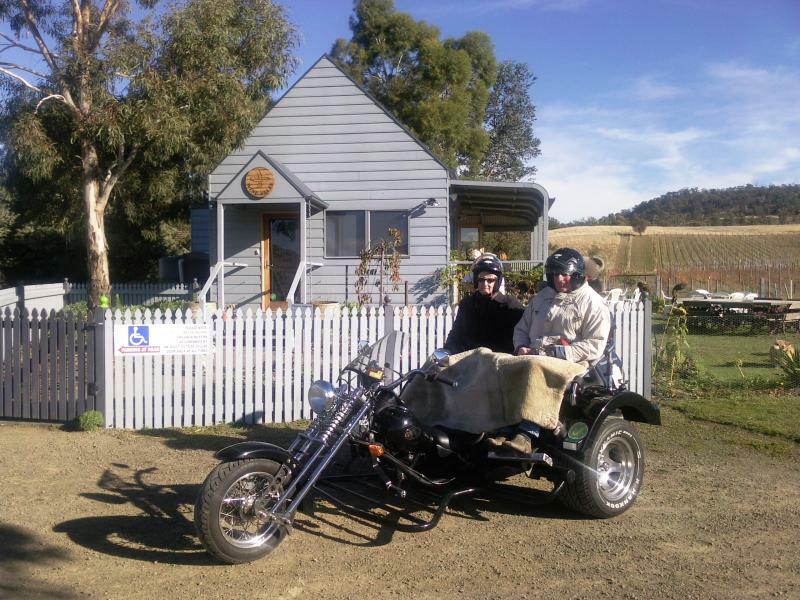 Great Adventure Tours from 15 Minute Fun Tours to our 6 hour Wine Tour of the Coal River valley. We cater for children of all ages, even down to 4 years of age. 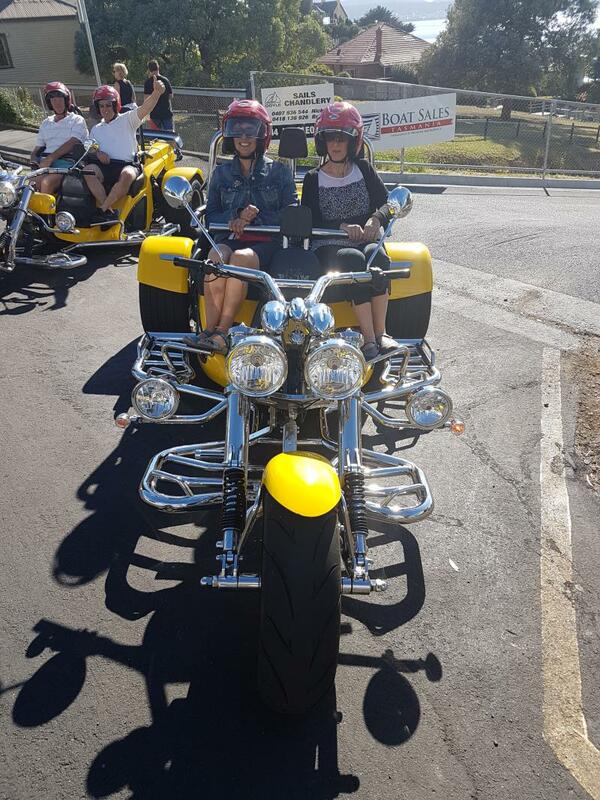 A stainless steal bar prevents you from falling out of the trike. This safety feature was designed of cause in Germany. We supply you with jackets,thermal gloves and even a lambs wool cover for your comfort. If I have taken you on a tour and you wish to make a comment. Please click on the Links section and you can make a comment on TripAdvisor below.